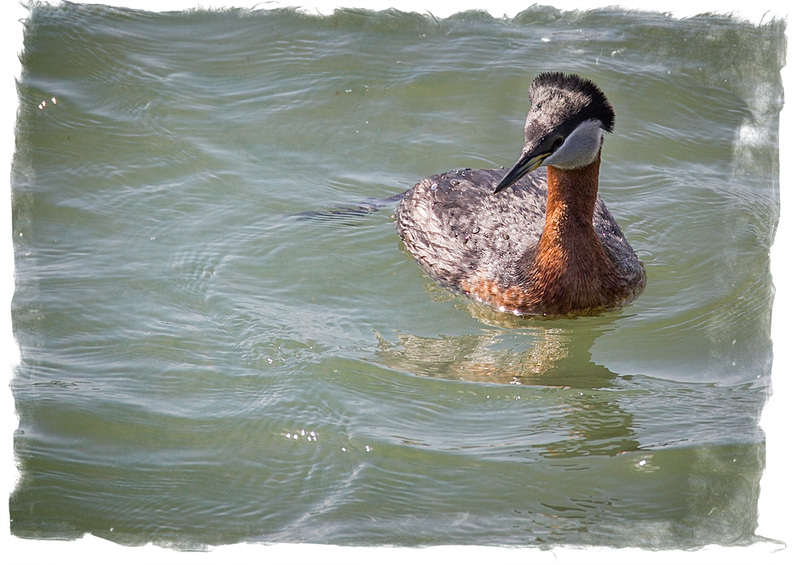 I’ve seen Red-Necked Grebes in non-breeding colors before, even on my trip to Westport last month. 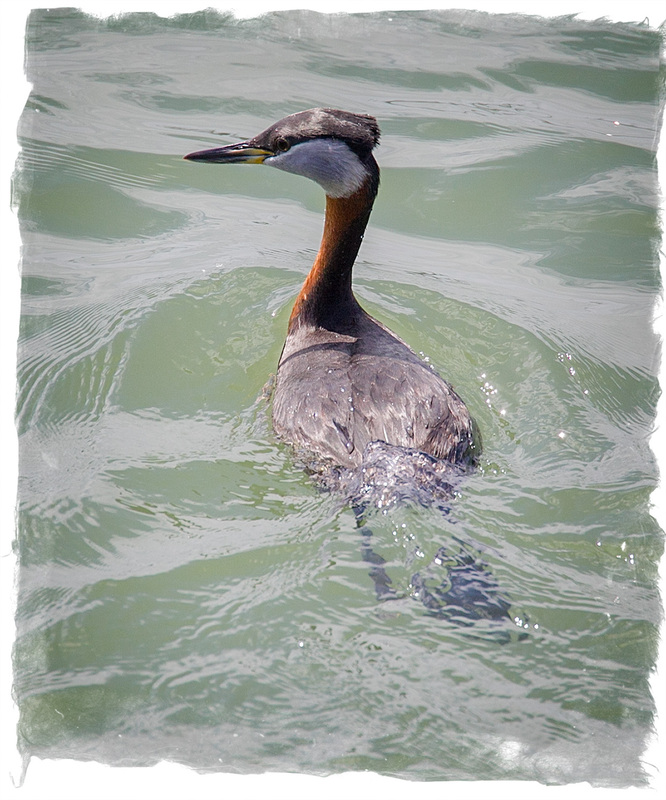 Still, the biggest thrill of my latest trip was actually photographing one in the breeding colors it is named for. Though it never came as close as the Common Loons do at Wesport, it was relatively close to the boardwalk so I could even manage to circle around and get good light to show off its brilliant neck. Though I’ve never seen one very close, the bird didn’t seem particularly bothered by my shooting him with a camera, and I ended up with too many pictures to choose from. 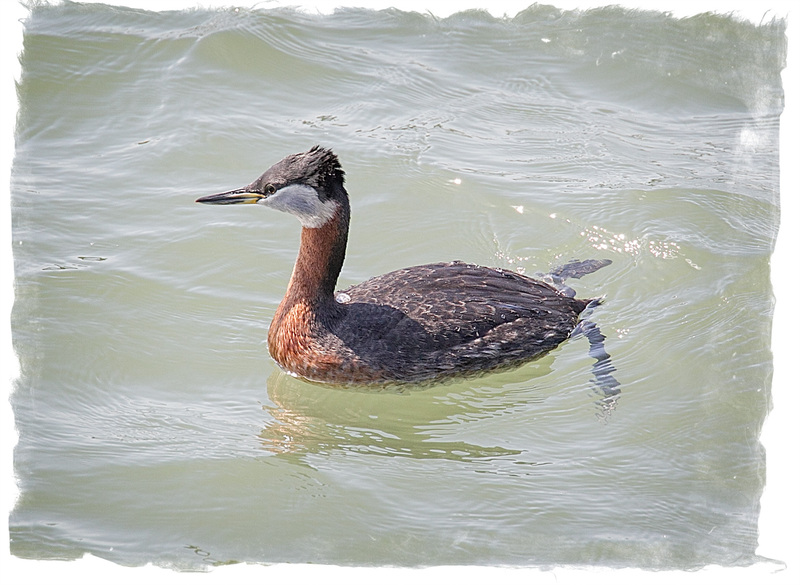 On the other hand, my rarest sighting was of this Pacific Loon, which suddenly appeared as I was tracking a Pelican and disappeared so quickly that I only got two nearly identical shots. Even though I watched for quite awhile, it never reappeared. It really isn’t a very good shot and had to be heavily cropped even to post it. 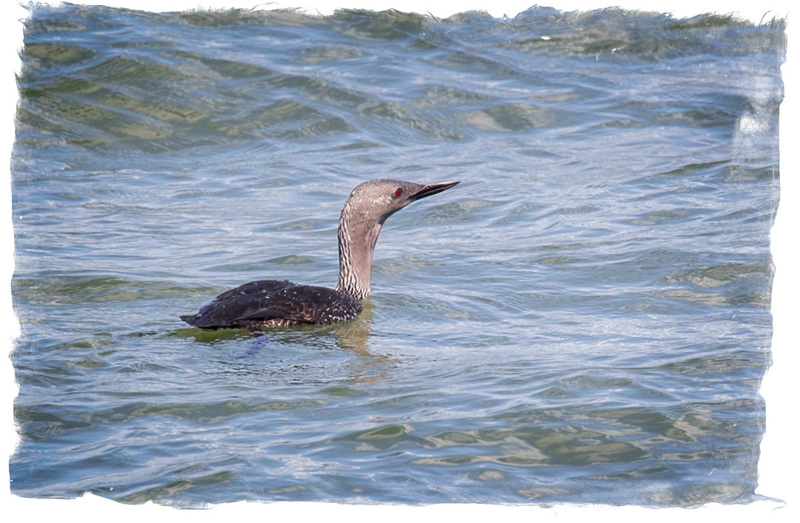 Still, since I don’t think I’ve ever seen a Pacific Loon before and certainly never in breeding colors, this had to be a highlight of the day.